You would think with the incredible amount of knowledge out there (not just on Fstoppers but on the whole of the internet) that there would be no shortage of incredibly successful, monumentally wealthy photographers in the world. Yet for some mysterious reason, only a small percentage of us ever make it to a real sense of success. Why is that? We can't attribute it to skill levels, there are plenty of insanely successful photographers whose images are by many definitions, well...flat out bad. It isn't a matter of pure business acumen. I can recall at least one case of a photographer screwing up on a major level with their taxes. I believe we can attribute their relentless rise to not only the necessary prerequisites of being a photographer and wanting to make a living. These people learned to admit the fears that held them back, and stomped them into the dust as they walked toward their goal. We can do the same, but we have to start understanding our fears first. So let's roll. We're just going to start with the big one. Nobody likes to fail. It can make you feel like you've completely wasted your time. You wonder if you really have what it takes to be successful and "what if I'm not good enough?" It can be a fear of failing at something little, like a test shoot...or something massive like your entire marketing plan. It could even be a fear of failing at this career overall. Let me take a second to clue you in on something about "failure." It is not the end of your dreams, it is an opportunity to learn and reinvent. Give that a second to sink in. Failure is your chance to look at what happened, and create a new plan to succeed where before you missed the mark. I spend a lot of time outside of my photographic career counseling numerous other start-ups and the one process they get drilled on is "build, measure, learn." It's a fairly common philosophy among serial entrepreneurs but not something I ever hear photographers mention. The idea is fairly simple. You build a product (your photography), you measure the customer's reaction to it, and you learn from it. Then you repeat the cycle with what you've learned. Pretty simple right? So why then do you think that one failure means the end of life as you know it, when it's nothing more than a chance to learn and do better? So you've failed...so what? Every single millionaire, and multimillionaire I know has failed over and over again. Many have filed bankruptcy several times. The difference between them and the average joe is that they don't stop. They pick themselves up and revise the plan. Failure is a natural stepping stone on the path to greatness, and as such it isn't something to be feared. Embrace it. If you aren't failing, you aren't pushing your limits. I'm pretty confident that everyone on the planet has dealt with this in more than one arena. You don't want to put yourself in a situation where you might be cast aside for something different, or where what you've done isn't good enough. It makes sense. Rejection hurts. Here's the deal though...there are still more people in the world that are looking for a good photo than there are photographers taking them. What I mean to say is that somewhere, someone wants what you're doing. The problem is that your fear of the pain of rejection is keeping you from finding those people. If you were to pick up the phone book right now (yes, they still exist), you could turn to any page and find people that could need photos from you. In your city or around it there are more potential clients than you can count. The thing that's stopping you from reaching out to them is also stopping you from selling your work to them. Yes, you will get rejected and probably by a ton of them. They won't want your work because they use stock. They won't want it because their second cousin Beatrice just bought a camera. They won't want it because you're too expensive, not the right fit, your website wasn't nice, or you called them on a Tuesday. They won't hire you because they don't like your work. Yet somewhere in that pile of likely rejections are the clients that will love everything you have to offer. They will see what you do and say "Yes, oh my god yes. 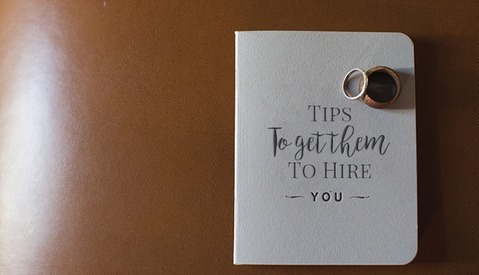 What would it take to hire you?" But you'll never find them if you don't brave the possibility of a "no." Rejection happens, but it's through rejection that we find those that value us the most. There are many stages in business where an investment needs to be made to progress. That could be at the beginning before you try to go full time, or later in your career when you have to think about making some serious upgrades. The natural concern is always the return on investment. Will the money be a waste, or will it boost sales enough to make up for it in an ideal time frame? The same goes for quitting a full-time job to become a pro photographer. Will you be able to make enough to cover the loss of income once you quit? This is always a difficult series of questions, and not one to be taken lightly of course. Let's look at it from another angle. An investment is essentially nothing more than putting money into something you believe in, trusting that it will become more valuable over time. Do you believe in yourself? Do you believe that if given the opportunity to pursue your dream...you will do everything in your power to achieve it? 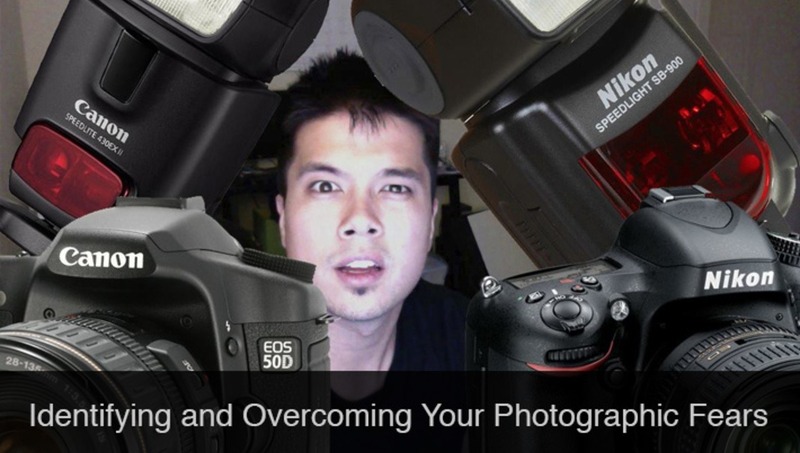 More importantly, do you believe that you will be happier taking photos the way you imagine? Then what are you really afraid of? The pain of being in an uncomfortable financial situation. What is that really when compared to the bliss of living the creative life you dream of? Imagine what you could do with the new lights you want to upgrade, or the top-quality glass you've had your eye on. Let the inevitable joy of those moments override the potential pain. You've gotten this far and you love what you do. Believe in yourself enough to invest in yourself. If you're willing to invest in your work, other people will be too. How strange is it that not only do we fear making less money, but we also fear making more. By far the most common fear people come to me with is the fear of putting their prices too high. Maybe it's for their first ever pricing sheet, or maybe they are considering raising an already established structure. It is a common and constant area of hesitation. On the one hand, you don't want to price yourself too high because sales could suffer. On the other, you don't want to price too low because sales could suffer. Lowballing is just as damaging as pricing yourself out of the market. Pricing and the strategies within it is a topic beyond the scope of this article so I'll only address it briefly. Initially a lot of beginning photographers think that undercutting is the best way to generate quick sales. It works for a little bit, but much like investing in yourself...your clients won't value your work unless you do. Some of the worst clients of my career have been the ones that I went below my value for. If you're new, it's ok to start off in line with your market average and shoot trade on the side to beef up your book. Make no mistake, raising your prices will cull some of your existing business. However, it will weed out the people that place little value on what you do. You will lose clients, but you will make more and be happier doing it. When you work for people that you know respect your vision, you automatically do better work for them. You care more about them because of their respect for you. Should you raise your prices ten thousand percent? Most likely not. However that fifteen or twenty-five percent increase you've been considering for the past year isn't likely to hurt your business much, if at all. This is, in my opinion, the most senseless fear out there. It is also the one that I am personally guilty of more than any other. It is also the hardest to identify. It may start as procrastination, or saying something stupid to an important client. Maybe you start becoming more impatient with people, or more touchy with your friends. These things happen and it seemingly comes out of nowhere, and they are classic symptoms of self-sabotage. But why? Of course you want to be successful right? However we don't consider the fact that success is a much more complicated situation than failure is. How often have you seen someone stay in a bad situation because it was familiar? See, achieving success means sailing into uncharted waters. You open yourself up to new challenges and demands, not knowing fully if you will be up to the task. You know that you are at least comfortable where you are, and the idea of changing that is terrifying. We have to realize something very important here. If you've been savvy enough to survive when things were lean, you're probably going to do just fine in a surplus. There will be some new skills you need to pick up along the way of course, but seriously...you've been clever enough to survive so far. The resourcefulness you've learned by keeping yourself away from success will make that success even more incredible for you. You know how to stretch a dollar...imagine what you could do with exponentially more of them. What are the fears you have holding you back, and what can you do change your perspective? Shoot more, judge yourself less. As ubiquitous or overdone as it is, I successfully completed a '365' project last year, which, I think, transformed my photography for the better. I took a lot of terrible photos, and still do, but every time I shoot, I—in aggregate—get better. The more you shoot, the sooner you'll make dumb mistakes, and the sooner you'll learn how to overcome them, which means you'll get better. My sensei taught me that it is better to practice a routine twice correctly, than two hundred times incorrectly. Repetitive mistakes breed bad habits and sloppiness. Technique should be mastered before increasing speed. Of course, I don't think this applies in your scenario, as most of us don't have an all-knowing mentor to tell us what is right and what is wrong. Seriously. He gives me the creeps. You know what I thought yesterday? What if I get blind! All my life as a photographer would die?! That scared me a lot. That too is a great fear of mine, but I have the added burden of hereditary glaucoma in the family. Make hay while the sun shines, eh?